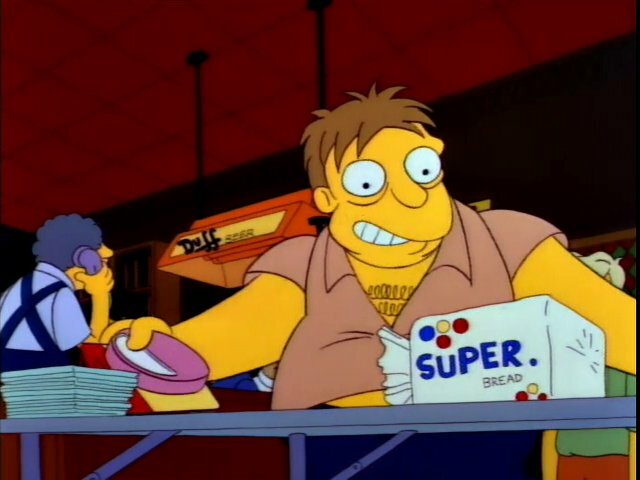 Marge: More wheatcakes, Mr. Mayor? 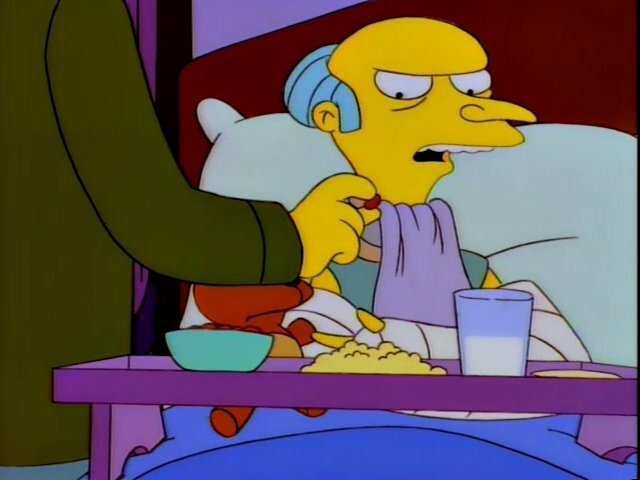 Homer: Read my lips: Yes. 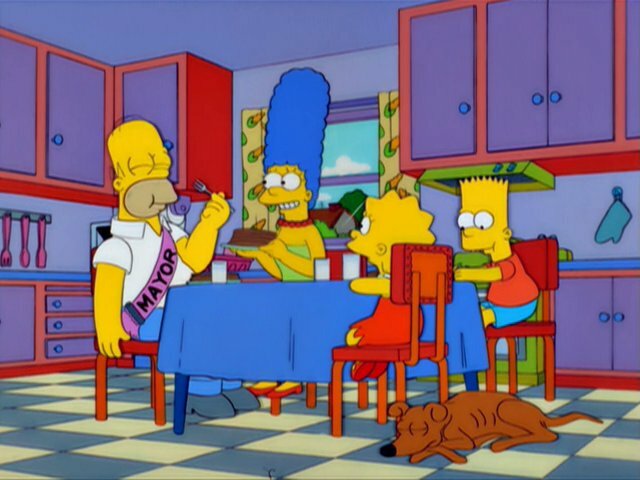 Bart: Dad, you got syrup on your sash. What exactly are wheatcakes? 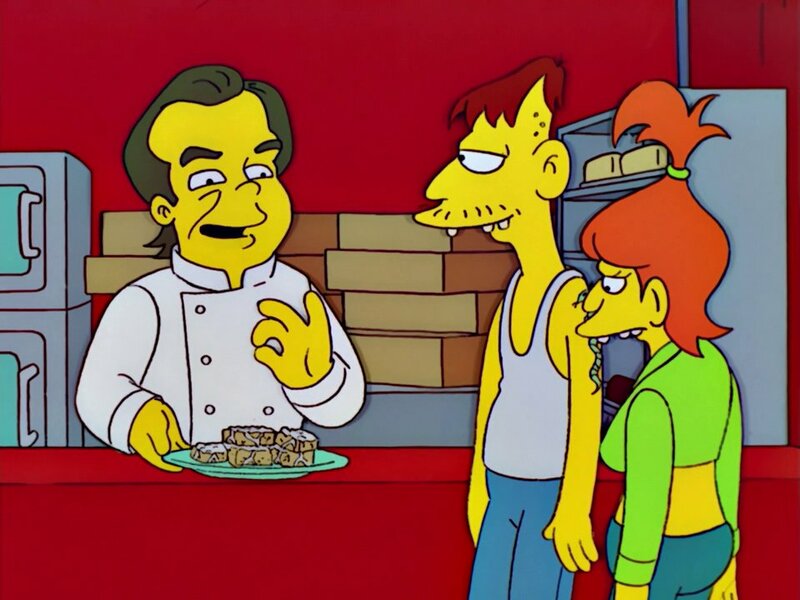 In the episode they looked like pancakes, so at first I thought these were just a regular pancake made with whole wheat flour. 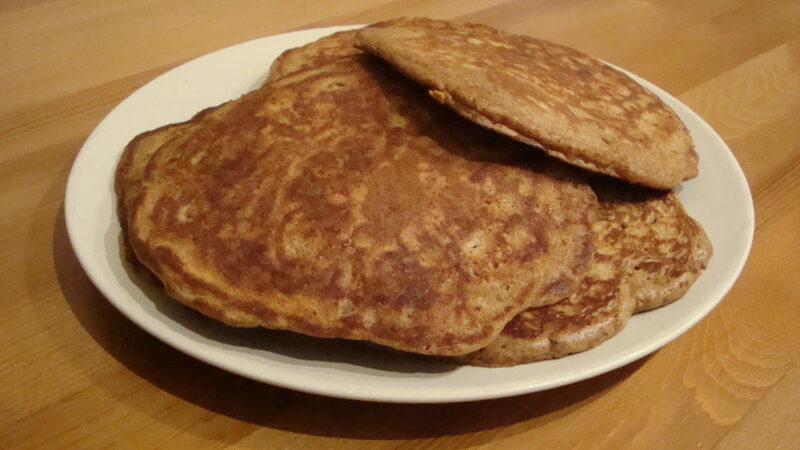 Turns out that the recipe for wheatcakes or wheat cakes (depending on your spelling) is just as subjective as a pancakes recipe. A few constants I found are that wheatcakes are usually made with some type of whole wheat flour and buttermilk. During my recipe search, I also found quite a few references to a Spider-Man / Wheatcakes connection. The top hit in my google search was from Teddy and the Yeti – written by friend of the blog Jeff McClelland, who also pens all the Futurama related recipes on Eats Like A Duck. Geeks of Doom also features a different “Amazing Spiderman” version; but the choice was obvious, I was going to have to go with Jeff’s. Mix together all dry ingredients (both flours, both baking sodas and salt). 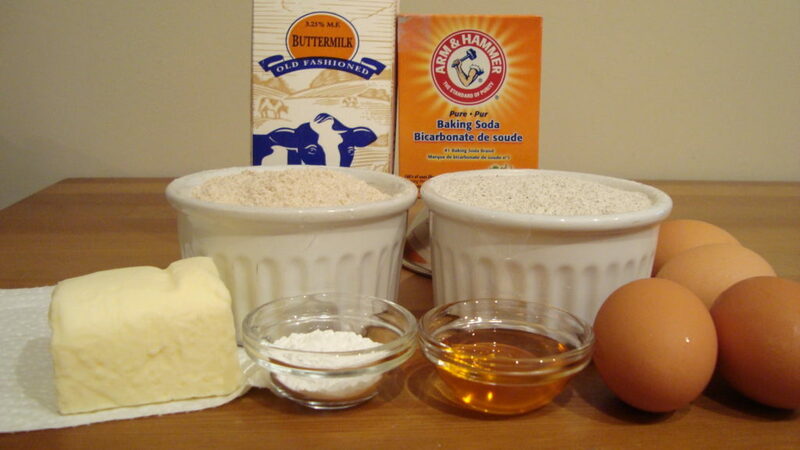 In a separate bowl, mix together buttermilk and molasses and set aside. To the flour mix first add two beaten eggs, followed by the melted butter. Finally add the buttermilk/molasses mixture. Mix until well combined. Whip two egg whites until stiff and then fold them into the batter gently until blended. Don’t overmix! Cook on a greased hot griddle or frying pan. These were actually really good. They don’t taste “healthy” like they had a lot of wheat in them, they just tasted like a slightly fancier version of regular pancakes. The big downside to these is that they are a lot of work to make. I’m used to preparing pancakes from a premade mix where adding an egg and some milk is the maximum amount of effort I am required to give. Either way, I’m very happy with how these turned out – hopefully they would be up to Aunt May’s AND Marge’s standards.